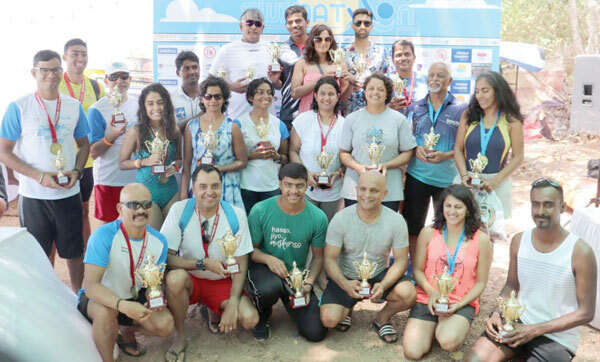 PANJIM: Mumbai’s Prabhat Koli won the 10km race in the open category on day one of the Goa Swimathon in grand style clocking an impressive 2:51:16 hours for the distance, as the 9thGoa Swimathon 2019 organised by Enduro Sports Goa kicked off at the Bambolim beach on Saturday morning. A record 581 swimmers from all over India are taking part in this event. In the 5 km distance, Utkarsh Hagde of Thane (1:29:17 hours) and Supriya Nimbalkar of Kolhapur (1:45:18) won their respective categories. Day two on Sunday will see races in the one km, 2km and 250 metres taking place on the Bambolim beach between 7.15 a.m. and 11 a.m.